The final post of our patriotic picnic week is of the food -which maybe the best part! I served club sandwiches, cape cod chips and lemonade. Club Sandwiches are best served with the extra layer of bread in between. Also, I toast the bread and butter both the top and bottom. I find that the mayonnaise on the inside seeps in less if it's buttered first. Layers of ham, turkey, colby cheese, tomato and bacon make this sandwich a yummy classic! 1894 - The most popular theory is that the sandwich first appeared in 1894 at the famous Saratoga Club-House (an exclusive gentlemen only gambling house in upstate Saratoga Springs, New York) where the potato chips was born. Originally called Morrissey's Club House, were neither women nor locals were permitted in the gambling rooms. In 1894, Richard Canfield purchased the club I served this awesome lemonade I found recently. 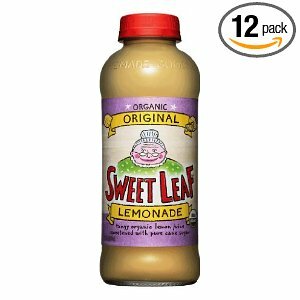 Sweet Leaf Lemonade is made in Austin, Texas and also makes a variety of Sweet Iced Teas. 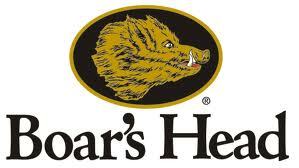 I try to always use Boar's Head sandwich meat. They are a little more expensive than some other deli meats, but they taste so good! Finally, Cape Cod potato chips seemed like a classic to add to this patriotic picnic. Crisp, crunchy salty and all natural, these potato chips are all American! I'm joining Designs by Gollum for Foodie Friday and hope you will too! Join us for a patriotic picnic in the park today! Monday I showed you some vintage clipart that I used to make menu and placecards for today's picnic here. I simply hand wrote the menu on the back of red cards to keep it simple and casual. I used small American flags at each place setting along with blue and white "picnic" napkins. Here the lemonade bottle is holding down the placecards. You also see the detail of the vintage picnic tablecloth I used to cover the table. Various patriotic sugar cookies lined the center of the table for decoration and dessert. Here is the front of the menu card. A long shot of the table - which was dark because it was under a covered picnic area - but a lot cooler in the shade. We had a nice view of the lake while we ate, including some local feathered friends. This bird was spotted while we dined but flew away as soon as we got close to her. Looks like she was borrowing some of the feathers from her friends for her nest! On the drive out of the 440 acre park we spotted these adorable ducks lined up sunning themselves~aren't they cute! 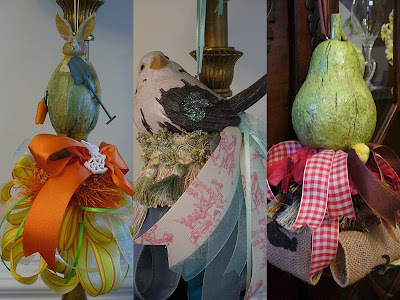 I'm joining Tablescape Thursday with Susan at Between Naps on the Porch. 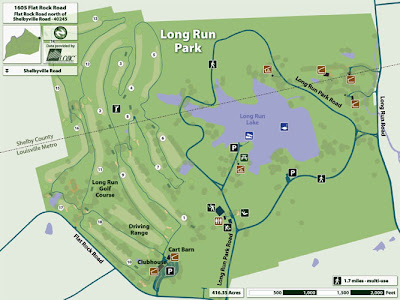 The site for tomorrow's picnic will be Long Run Park in Louisville, KY. Maintained by the City of Louisville, Long Run is one of 122 parks covering more than 12.000 acres in the city. Long Run is 416 acres and offers an 18 hole golf course, 28 acre lake, horse back riding trails, tennis courts, playground, picnic shelters and grills. My husband and I began visiting Long Run years ago when we lived in the city and wanted to take our children out to the country to play. In the far east end of Louisville, Long Run has a rural feel with its expansive rolling fields. Even after moving out into the country ourselves, my husband and I still have lunch at the park for a get away from the office occasionally. Picnic tables are located by the lake and with the shade of plenty of trees it will be a lovely spot for a picnic. Today I am joining Outdoor Wednesday at A Southern Daydreamer. 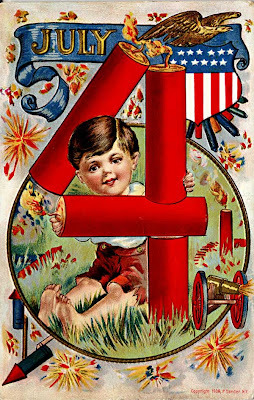 for your upcoming July 4th weekend! 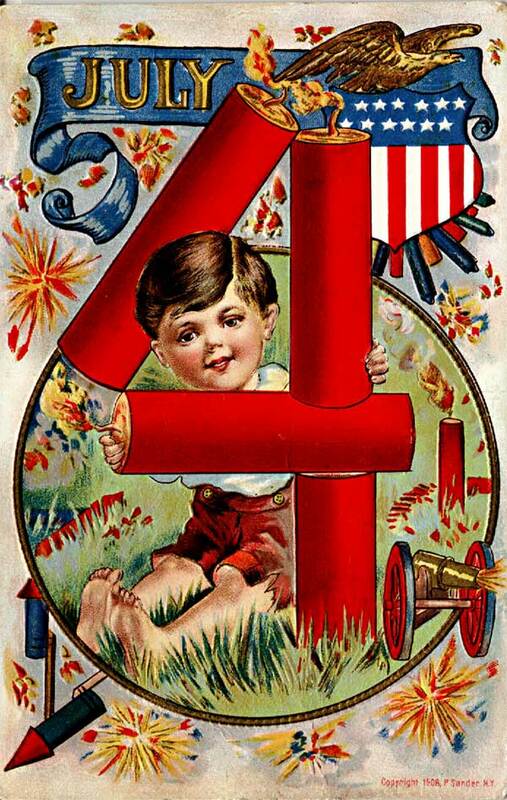 It is possible to have an inexpensive yet festive party for Fourth of July. This week I'll show you how to plan a perfect patriotic picnic for next weekend's holiday. 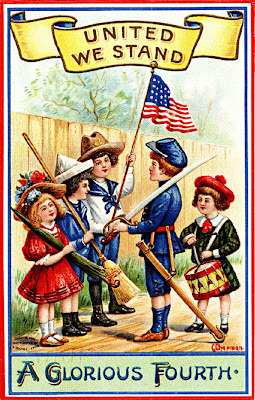 Today I'm sharing a few vintage clipart pictures I'm using later this week for a patriotic picnic. I've saved these in a Word file and will be printing them on a sheet of white heavy card stock paper and a sheet of Avery labels. I can't wait to show you all my creations for a patriotic picnic! Today I'm joining Metamorphosis Monday at Between Naps on the Porch. For today's Feature Friday - we are offering Mary Lake Thompson liquid soaps buy one get one 50% off! 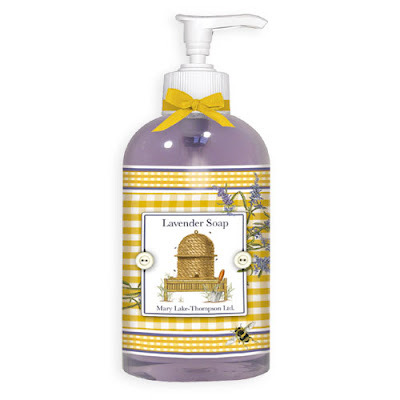 The Lavender Soap is my current favorite for it's scent and I love the lavender color! 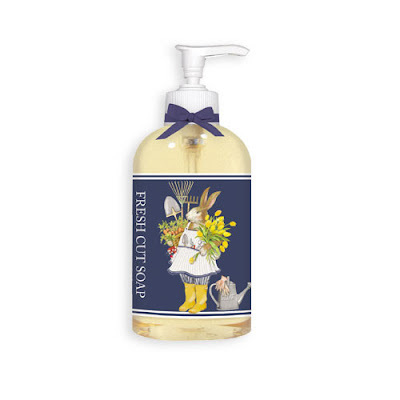 These make cute additions to your kitchen, laundry room or guest powder room & of course your master bath! If you are so lucky to have a garden area where you prep cut flowers, Miss Bunny would be an adorable accent. 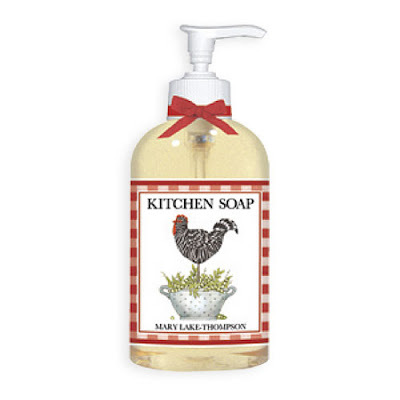 I love the rooster for the kitchen. I know so many of you have red kitchens -what a great perk up accent! 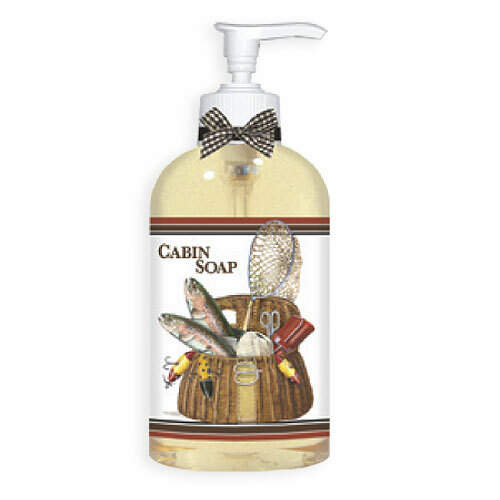 We even carry soaps for the lake house. Hope you can stop by today or tomorrow and pickup a few soaps. As today if the first official day of summer, I know many of you if you have not already, will be grilling out more and more. This table features all things good with a BBQ. Picnic check plates and a vintage picnic check table cloth with white fringe trim make a great base for hamburger and hot dog salt and peppers. Watermelon salt and peppers along with adorable watermelon accent plates say a summery hello to your table. I feel in love with this condiment holder that looks like a mini-grill but is actually salt and pepper shakers. There is also a place for ketchup, mustard and your pickles fit in the little tray that is the "grill". Also you can see just the top of the basket of foodie ornaments featuring pizza, hamburgers and hot dogs. I used some of these as napkin rings. A few essentials for dining outdoors - a food cover and tablecloth weights, these are in the shape of daisies. Hope you enjoyed this taste of summer ~ I'm joining Susan at Between Naps on the Porch for Tablescape Thursday. Please visit there for more wonderful tables! We have two winners of the book give away - but I have to keep you in suspense one more day b/c I left the names at the store! Wanted to let you know as well that Susan is giving away a tassel from The Tassel House at her site Between Naps on the Porch. These tassels are wonderful! 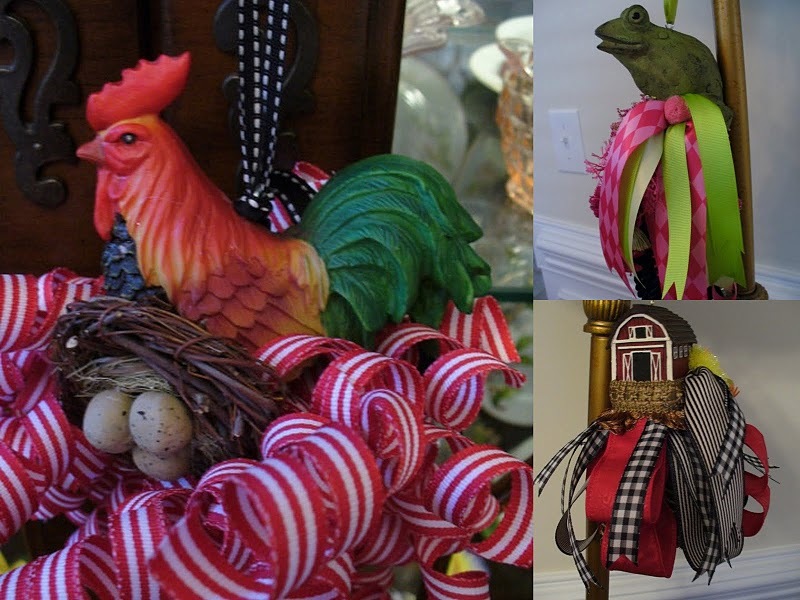 I've shared a few pictures below but you need to checkout Susan's site as well as the etsy store for more great tassels. I think the rooster is my favorite, but I love the bird too! Hope you having a great day -we made it 1/2 way through the week! I'll be back tonight to share a red, white and bbq table. I've been enjoying my hibiscus in the backyard so much this year I thought I would share it with you'll today. The joy that the hibiscus plant brings me is that each day there is a new flower ready to burst into bloom. On this day there were several fully bloomed flowers on display. Every few months of so I like to change things up in the China Cabinet. Previously I had backed it with red & white toile wallpaper leftovers from the downstairs bathroom. You can see that post here. 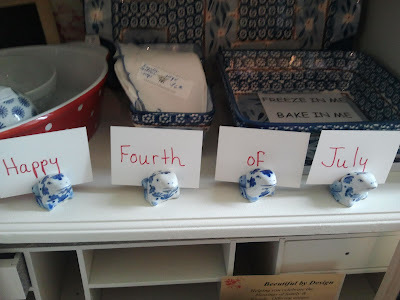 For summertime I displayed some red, white and blue dishes, including these adorable frog placecard holders. And their friends the larger froggy salt and pepper shakers! I love the pop of this red rooster platter in the back of the cabinet. Inside this red and white polka dot casserole dish I placed blue and white carpet balls of assorted patterns. And finally several sets of blue and white casserole dishes and a blue vase with red toile accent on the front. On the fold down portion of the cabinet sits blue and white tiles, which can be used for coasters and a friendly patriotic bear. 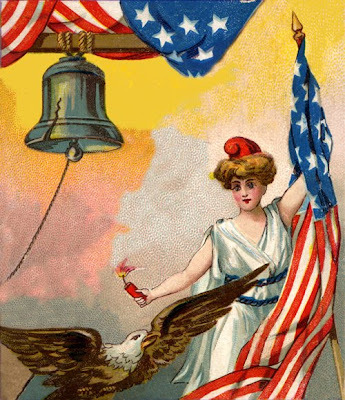 Check around your house and I'll bet you already have the makings of your own red, white and blue display. Thanks for coming by to visit me today. I'm joining the following blogs: Metamorphosis Monday; Tabletop Tuesday & Ruby Tuesday. For this Feature Friday all platters are on sale 25%. Just a few are shown below, but there's more at the store so come on by for a visit! Also, tomorrow is our tent sale with 25-50% all items in the tent. Also, don't forget tomorrow is the last day to enter the book giveaway ~ an autographed copy of Gwyneth Paltrow's My Father's Daughter! When I leased the lobby space at the Head House I knew I wanted to put a round table there and share some of my most favorite tablescapes. Honeycomb depression glass bowls, vintage sugar and creamer and cut glass goblets were a must for the table. 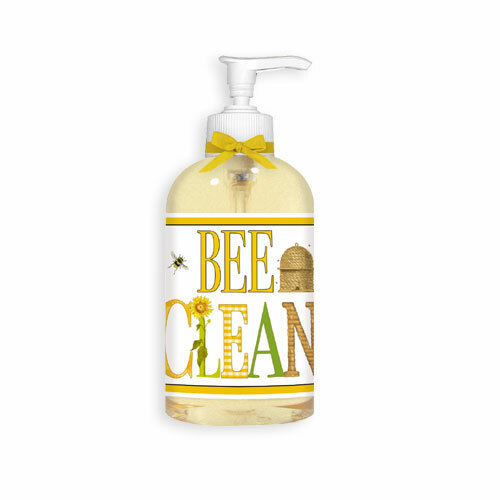 A began with bees of course, since that's the "mascot" if you will of Beeutiful by Design. These wonderful bee hive towels and bee towels by Mary Lake Thompson and bee and teapot napkins were the perfect additions. I layered yellow terra cotta rimmed plates, on purple round placemats on a black and white toile tablecloth. I like the punch of purple between the yellow and black & white. Now as you reach the 2nd floor of Head House a cherry table is waiting to greet you! I'm joining Tablescape Thursday at Between Naps on the Porch! Be sure to make a comment on every post this week for a chance at an autographed copy of Gwyneth Paltrow's newest cookbook "My Father's Daughter". See more details here. I went nautical for some of the new lobby space at the store and thought I would share a few more of the details. The tree is partially decorated, waiting for my neighbors to move into their new space and then I will put out the rest of the ornaments. Aren't these anchors cute! I think they would make great napkin rings and tassels too. Here's the table with the nautical items. I think the blue and white gingham tablecloth makes a great backdrop. Adorable large, medium and small lanterns along side the table. Notice the floors of the Head House, sigh, they don't make hardwood like this anymore, so I left it with no rug at all! Lighthouse and Sailboat food covers to protect your outdoor dining from visitors joining your party. Isn't this accent table and lamp adorable! Finally a few Mary Lake Thompson towels with seaside accents. I'm joining Tabletop Tuesday at A Stroll Thru Life and don't forget there is still time to enter by leaving a comment each post this week for the giveaway Saturday of Gwyneth Paltrow's new cookbook!